Today I want to thank all of you for four fantastic years on flickr! I first joined on this date in 2006, and since that time my stats tell me that my images have been viewed 2,749,062 times. That just blows me away, I am truly thankful for each of those visits and find inspiration from all of you to keep getting better as a photographer. During that time my favorites collection of your photography has grown to nearly 50,000 images, you all sure take some great photographs! Here's to the next four years of sharing our passion for photography together! Image Notes: Single long exposure, not much post. This is the non-flash for fill version of this sunset in Florida the past Christmas season. 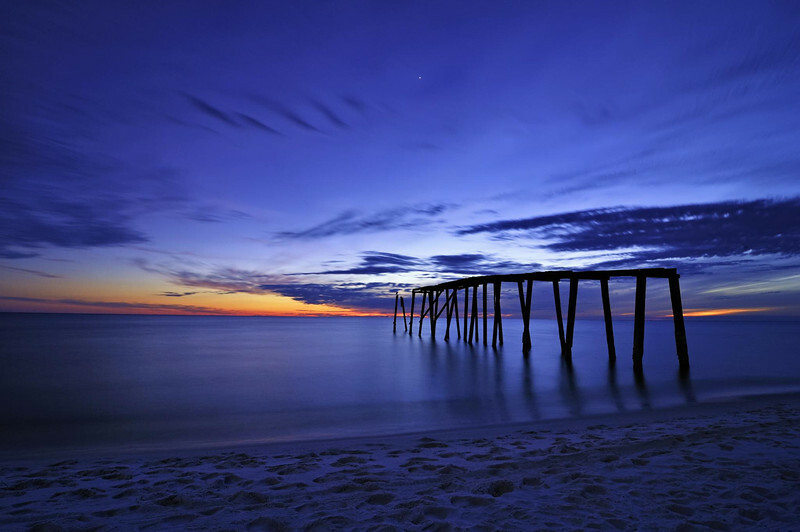 I was really taken by the blues of the Gulf of Mexico combining with the magical indigo blues of the blue hour. Hope you enjoy.